Dancing in Bellamy&apos;s arms, there is no place I&apos;d rather be. 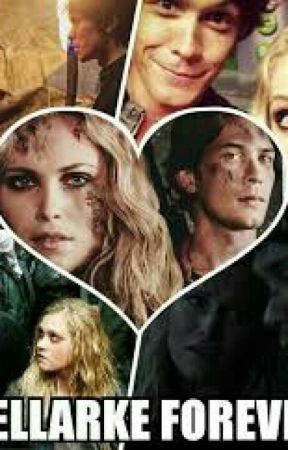 Many other couples like Octavia and Lincoln or Abby and Kane dance too, but I focus on Bellamy. Today has been the best day of my life and I don&apos;t want it to end. Now I agree with Bellamy. All the death and destruction has brought us together and I&apos;m glad it did. 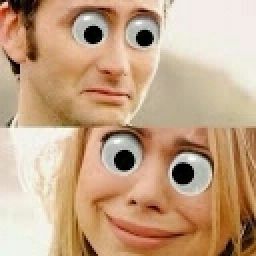 Looking into his deep brown eyes, I see a man who would die for his ever expanding family. "I love you too Princess." He holds me close and when the song finishes we go to collect Charlotte from Lexa, who is slightly attached. Turns out beneath that tough exterior, Indra&apos;s a big softy as well. Another tradition Octavia insisted on staging was cutting the cake. Everybody crowds round a table where the cake is placed. Putting my hand on top of both Bellamy&apos;s and Lotties, we push down together. Everyone cheers at the prospect of being fed and a stampede of people nearly tramples us trying to get a slice. During the ruckus, Bell has somehow managed to get 3 slices of cake. We sit at our table and laugh at Charlotte&apos;s attempt to eat, which involves cake on both cheeks and her forehead. I still can&apos;t believe I&apos;m a parent I&apos;m only 19. Eventually, Lottie sugar rush finishes and she&apos;s fast asleep. Me and Bellamy kiss our daughter goodnight. Abby comes to look take her, as Bellamy says she is babysitting while we are away. I still don&apos;t know where we are going. Once Lottie is gone, I decide to let my hair down. I head towards the bar and get a huge jug of moonshine. As the bartender (a slightly drunk Monty) prepare it, Lexa approaches me. "Clarke. May I offer my congratulations to you and your husband. Me and my group will be heading out soon." She answers. I smile and begin to walk away. "Clarke wait", I hear her call after me. I pivet to face her. "I just want to say I was wrong. A long time ago I told you love is weakness, but you proved to me today that in certain cases it can be th e opposite. Love can be strength." Lexa adds. I thank her and wish her a safe journey. Love is strength. Walking back towards the party, I chug the moonshine. Time to party the night away. 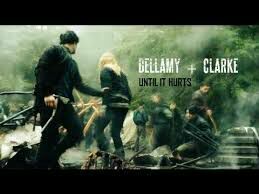 Hours pass in the blink of an eye and Bellamy ends up carrying me back to our tent. He lays me down and I go out like a light. Best. Day. Ever.